At least the “MediVedi” dance wasn’t one of those problems. The League of Legends European Championship is Riot’s newest franchised esports league, featuring 10 European teams both well-known in the scene and some brand new to it. In the days leading up to the first week of competition, Riot released a series of hilarious commercials with players and casters, as well as more than a couple hype videos. These videos, paired with new logos, a new esports arena, and more, did their job—fans were incredibly hyped up before week one. Occasionally, envious North American fans even complained on social media that they wished Riot did the same to hype up the North American league. When the games finally began on Friday, however, things sort of fell flat. A massive audience of virtual fans was met with bugs, production issues, pauses, crashes, and even a game remake while trying to enjoy the matches. Games on both days of competition were delayed substantially while Riot attempted to solve the many issues. 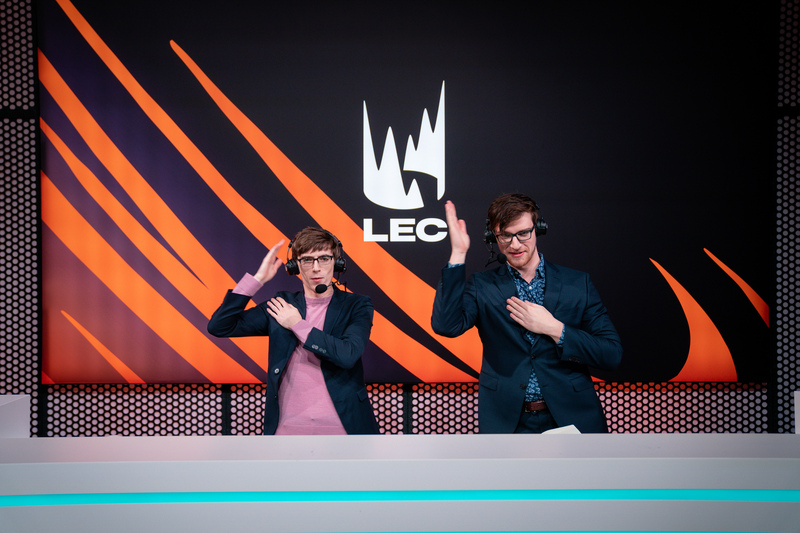 Although the production value of the LEC broadcast looked crisp, we’d be lying if we said all of these rampant problems didn’t kill the buzz a fair amount. Luckily, though, we don’t expect them to last, and there are a couple of reasons why. There are two major factors to consider. First, the new arena might be in the same building as the old EU LCS arena, but it’s decked out in new props, an entirely new setup, and we wouldn’t be surprised if the infrastructure of the building had been updated, too. That could include everything from the site’s servers and network to simple cord management, but a lot can go wrong. The second factor that might be considered in the many problems last week is the LEC’s new set of physical technology. Riot recently partnered with Dell’s Alienware brand for all esports computers, monitors, and peripherals in several regions, including Europe. As some of the reported issues included game and computer crashes and hardware malfunctions, we wouldn’t be surprised if some of these new computers may be to blame. That’s not the end of the world, but with such a massive overhaul of technology on-site, it’s not exactly uncommon for there to be kinks. Either way, we know the opening weekend of the LEC wasn’t exactly what fans may have thought it would be. But since most issues seem like minor bugs and glitches, we don’t think they’ll persist throughout the season.